Alexis Sanchez has reached an agreement with Manchester United over a four-and-a-half year contract that will see the player become the Premier League’s highest earner on £350,000-a-week. According to reports in The Telegraph, Sanchez is ready to complete the switch, but is waiting for Henrikh Mkhitaryan to make his mind up over a move the other way. 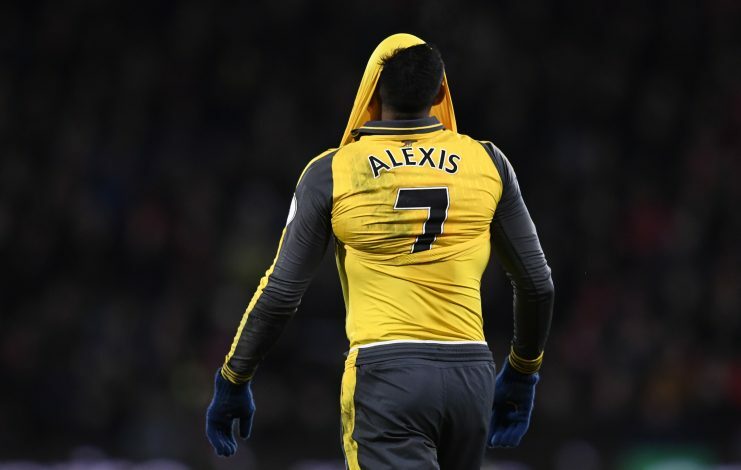 The Armenian’s agent, Mino Raiola, recently stated that no move for Sanchez would go through unless Arsenal prepare a better wage offer for his client. Mkhitaryan reportedly wants Arsenal to make him the best paid player at the Emirates – something Arsenal are hesitant to do, but will be forced into if they want to get rid of Sanchez in the current window. Manchester City and Chelsea have both pulled out of the race, as they both feel United’s offer is not worth matching, as the winger only has six months left on his current contract and would be a free agent in the summer. Jose Mourinho’s side has gone in with an offer that could amount to a mammoth £60 million – £30 million for the player, £10 million to his agent, and the rest as sign-on fees. It has practically blown all competition out of the water, and the 29-year-old Chilean star is almost certain to get the transfer completed soon. It all depends on Mkhitaryan at the moment. I hope his arrival will change the fortunes of United. We need someone who will move us closer to city.